1 Room Available. Book Your Viewing Now! Situated close to the town centre this four bedroom property makes for the perfect student accommodation. It has four double bedrooms (one small double), kitchen/lounge. All bedrooms consist of double beds, double wardrobes, chest of drawers, computer desks and chairs. There is a bathroom with a double shower, sink and toilet. 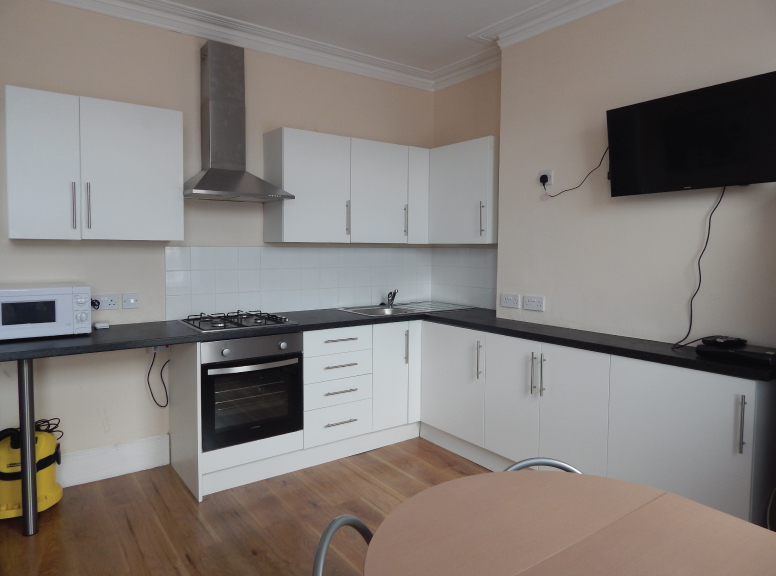 The flat is equipped with an oven, washing machine, fridge/freezer, and microwave. There is also a second toilet. The lounge/kitchen has a sofa suite and Plasma TV. This property also has Super Fast Unlimited Wireless Fibre Broadband. This is all included in the rent!